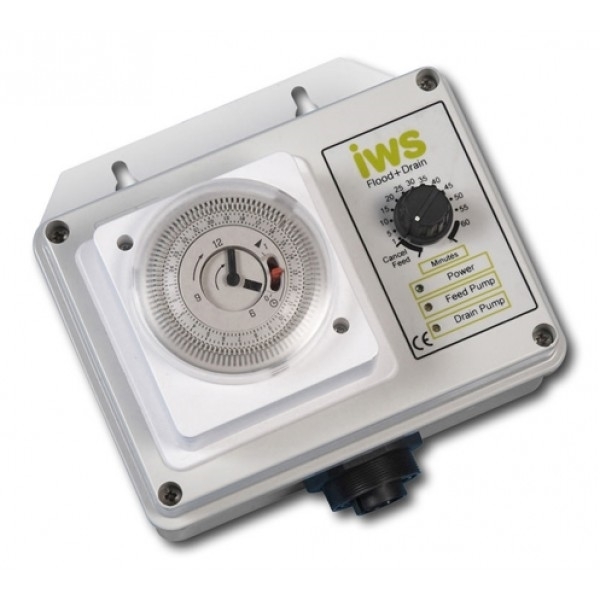 The IWS Flood and Drain Timer unit controls the feeding schedules of the IWS Flood and Drain system by activating the pumps within the reservoir and Brain Pot to Flood or Drain the growing sites. It features a Grasslin segmental timer unit, which sets the time of the day you require to feed your plants. These Timers are great for use with an IWS Flood and Drain system, they require no wiring and plug straight into the wall.They come with a Built-in Grasslin Timer and can be used to create DIY flood and drain systems or as replacement unit. 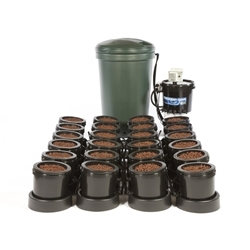 The IWS Flood & Drain system is an automated hydroponic system which provides massive yields with minimal effort.